An all-round superbly wearable shoe is the Lotus Zaria. 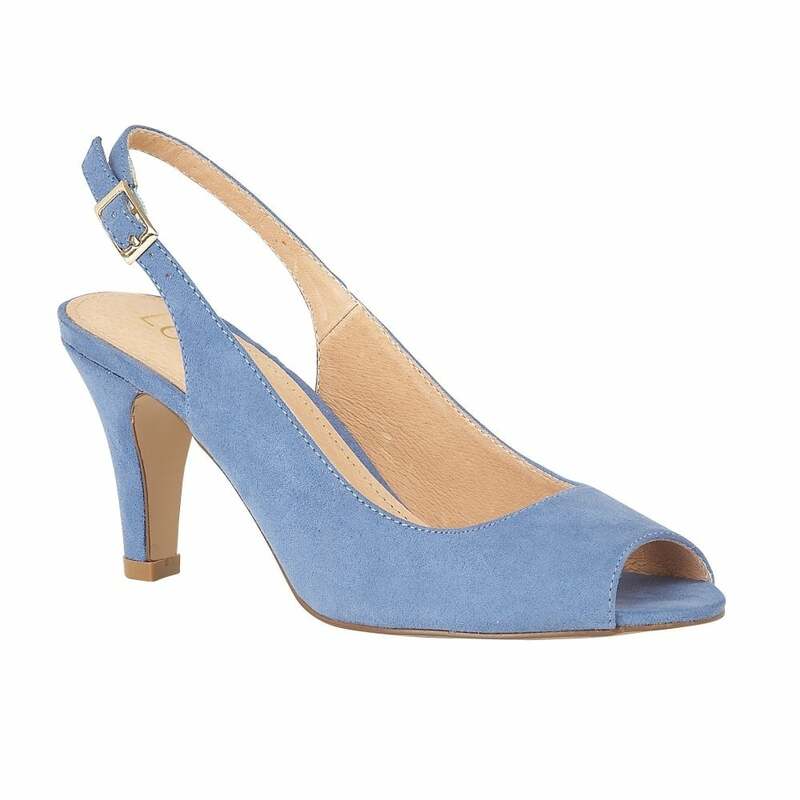 This peep toe, Lotus shoe features a soft microfibre upper in cornflower blue, an adjustable sling-back for enhanced fit and an 8.5cm stiletto heel. As Zaria is understated it is exceptionally versatile, so it is perfect for teaming with an array of looks. The Sommerton handbag coordinates perfectly with the Zaria peep toe shoe.